Time Rep is now released! That’s easier, isn’t it? 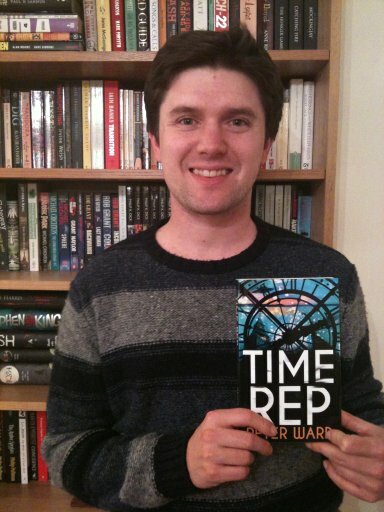 If you’re still on the fence as to whether to read Time Rep, I would say that if you’ve been following my blog for the last few weeks, you’ll probably like it, even if you’re not a massive sci-fi reader – the book is exactly the same sort of nonsense I spout on this site, only it’s 81,500 words longer and has a plot. If you need more convincing, it also has quite a good joke in it on page 212 about supermarket conveyor belts – what more could you ask for from a novel? Anyway, I do hope you enjoy it! Bye for now! This entry was posted on July 2, 2013 by Pete. It was filed under Blog . I absolutely love this book, and I’m so excited that a hard copy of it is out! I found it and read it online a while back, and fell in love with the story. It’s definitely the best time travel book that I’ve ever read, and I look forward to reading Peter’s new book as well.